"...a hard shell jacket built to withstand the worst the weather can throw at it... The more technically minded riders out there will get excited by the many features the MT500 packs in... 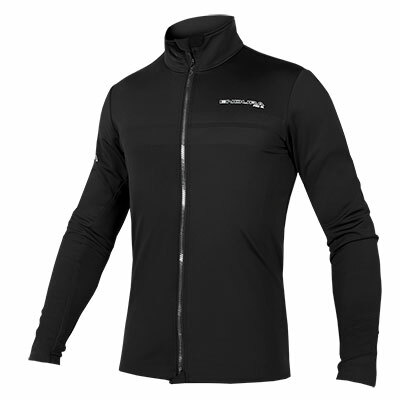 The 3-layer fabric is comfortable against the skin and the double wrist cuffs are a real bonus with this jacket, offering unrivalled comfort and great weather protection. It's arguably the most breathable jacket we have tried especially when you ride without a pack. Even with a decent pack though we never really noticed a huge build up of sweat. 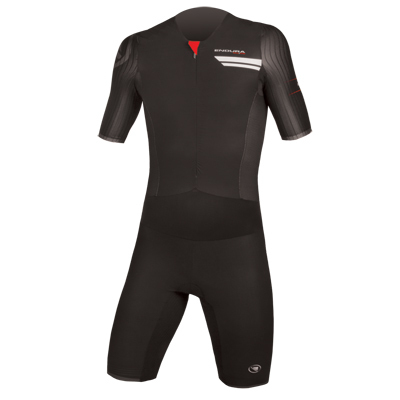 The side vents do a great job of creating some good airﬂow should you need it and the under arm zips are also useful on the warmer days. The hood is brilliant on this jacket and that feature, combined with the cuffs makes it one of our favourites. We never ride with the hood up, but on the days when the weather is bad and we are waiting for punctures to be fixed or just stopping for some food it's a welcome addition. On the windy days the cuffs keep the wind out without you having to crank on the Velcro closures too. Overall The MT5O0 is a real favourite of ours.. It's hard wearing, my last one is still going strong after three years, and it also looks like a mountain bike jacket. That's a bonus, as you won't feel bad when it's covered in mud and being used for its purpose. A purpose it fulﬁls with great aplomb!" "Una chaqueta ideal para usar en condiciones de elevada humedad y lluvia. De hecho, su capacidad impermeable es más que notable, por la membrana PTFE y también por la confección de zonas como las mangas, el cuello o las cremalleras, selladas, que se encargan de que no entre el agua y apenas viento. Con ella no te mojas.. Además, es tremendamente práctica a la hora de llevar cosas encima, pues tiene varios bolsillos específicos para transportar pequeñas cosas mientras montas en bici.. A pesar de ser impermeable, es razonablemente transpirable. Algo importante, te permite hacer largas rutas con ella puesta.. la chaqueta es y se hace sentir liviana. La ubicación de los bolsillos en la chaqueta es perfecta, hasta el punto de que su ubicación está pensada para que no coincidan con las correas de tu mochila y tengas acceso directo. Poco más se puede pedir por apenas 180 euros tratándose de una prenda técnica." 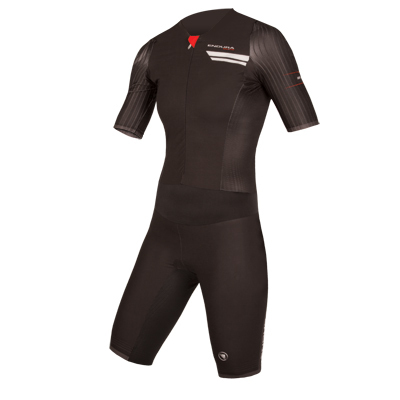 "Die Jacke war definitiv eine gute Empfehlung unseres Eurobike-Informanten: Die Endura “MT500″ ist leicht, aber dennoch äußerst widerstandsfähig und beherbergt viele nützliche Features. Diese sind allerdings so unauffällig in die Jacke integriert, dass man nicht unbedingt so aussieht wie Felix Baumgartner beim Projekt Stratos. Die “MT500″ ist nicht günstig, bietet aber viele Features und schlichtweg eine exzellente Funktion, die jedem Wetter trotzt." Είναι ένα jacket με μεμβράνη 3 στρωμάτων, 12.000 mm αδιαβροχοποίηση, ιδανικό για βόλτες σε πολύ χαμηλές θερμοκρασίες, ακόμα και το βράδυ. Δοκιμάστηκε τους τελευταίους 3 μήνες σε βόλτες υπό δυνατή βροχή στα βουνά της Αττικής και σε πιο άσχημες καιρικές συνθήκες, με θερμοκρασίες κοντά στο 0 και χαλάζι, στην ορεινή Αρκαδία. "Le performance di questa giacca sono assolute e i 179,99€ non sono una richiesta esosa se notiamo che dopo un’ora gli amici si sentono delle bustine di thé (freddo), mentre io sono ancora asciutto. Offre un minimo di riparo quando tira aria gelida, ma allo stesso tempo riesco ad indossarla anche quando smette di piovere e la temperatura aumenta di 10°, basta aprire le due grandi tasche/ventilazioni laterali e rimuovere le maniche interne per far girare l’aria! Anche la durata nel tempo è molto buona (quella bordeaux si è fatta due stagioni e la uso ancora), i tre strati di Corduna sono sufficienti per non strapparla quando facciamo cadute leggere o strisciamo contro i rovi." 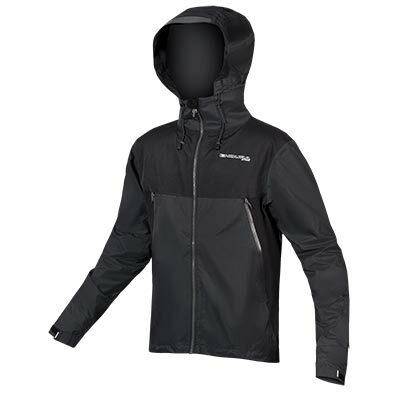 "Built to cope with the worst of weather, this is a jacket that could see you through a rough night in the rain forest. 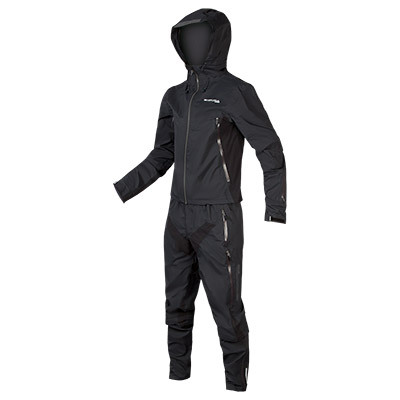 100 per cent waterproof and with an enlarged hood to cover your helmet, this jacket was a big hit with our testers. The perforated hood helps peripheral vision and pockets aren't obstructed by backpacks." "This one is just never going to fail me... it'll keep out the heaviest of rain and retain warmth in the depths of winter... this jacket is also the most tailor-able and versatile out there. I love it." "An extremely good, extremely tough, all-weather, all-mountain jacket." 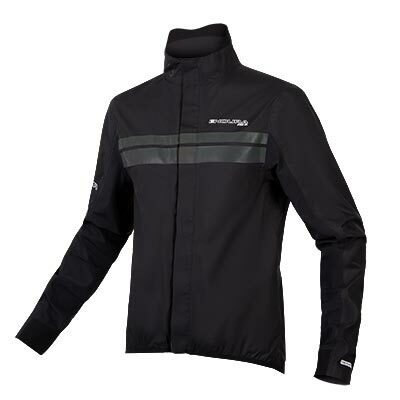 "When the weather gets tough, Endura gets going. 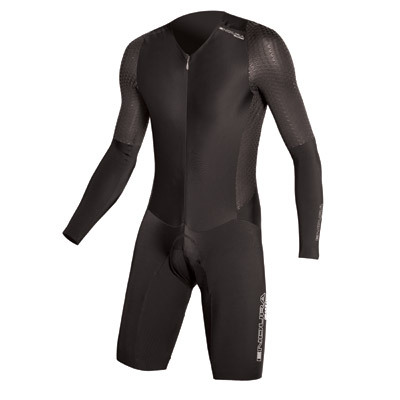 The hard singleshell Cordura Nylon construction is very waterproof and adequately breathable... comfy against the skin, and stretchy cuffs hug your wrists to stop wind howling into the jacket. A full storm hood...is a godsend when emergency trailside repairs are required in wet and windy conditions. An ultra waterproof jacket for the UK's ultra wet conditions." "...the MT500 jacket is an excellent mountain bike-specific waterproof and for this money is a bargain."